Savor the Comic, Unplug the Drama! Take a look at some great picture books that savor the comic and unplug the drama… these picture books take a funny view of life’s little problems! Llama Llama is not happy about spending Saturday shopping with Mama when he would rather be home playing with his blocks and puzzles. The store is crowded, the ladies smell too sweet, and Mama wants him to try on clothes from the clearance rack. 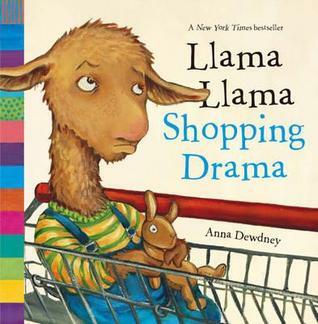 After a very long shopping trip, Llama Llama gets grouchy. Before long, he’s throwing things out of the cart and throwing a major temper tantrum right in the middle of the aisle. 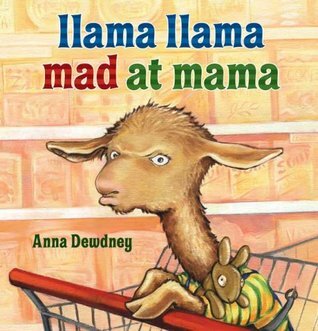 Instead of getting angry, Mama tells little llama that she thinks shopping is boring too, but at least they are there together. She lets little llama out of the cart to help clean up the mess. Now they shop together and Mama lets little llama push the cart. Llama llama loves his Mama! 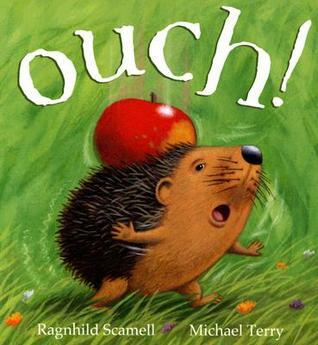 Just as Hedgehog finished her winter nest, a juicy red apple falls from a tree and gets stuck in her spines. She can’t get it off by herself and asks her friends for help. With each suggestion more and more things get stuck in her spines. Hedgehog is frustrated until she meets Goat who eats everything off her back. Hedgehog is so thankful, and feeling ‘as light as a feather’ she runs as fast as she can past the gate, the pond, and the orchard, until she gets to her perfect home under the apple tree where she falls fast, fast, asleep. 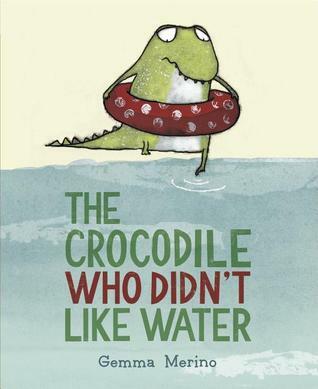 Once upon a time… there was a little crocodile who didn’t like water, but he longed to play with his brothers and sisters. One night he made a decision to spend all the money he had saved up from the tooth fairy to buy himself a swim ring. Although he could float in the water, he still couldn’t play ball or swim underwater. He tried one last time and realized he definitely hated the water. But then something strange happened… he sneezed and a huge flame came from his snout. Crocodile didn’t like water because he wasn’t a crocodile – he was a dragon!